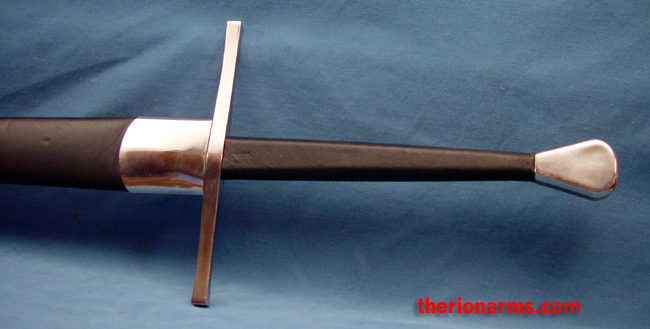 An Oakeshott Type XVIII longsword. 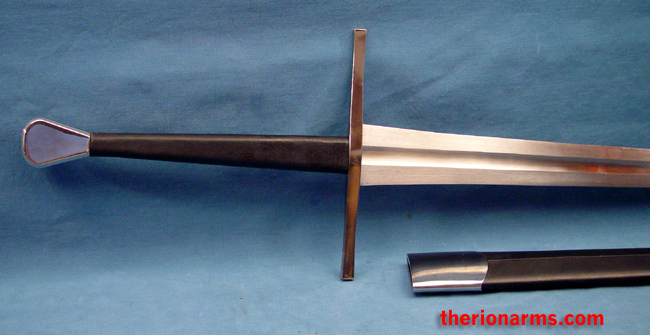 This is a very light and fast advanced training sword that performs beautifully in skilled hands. The blades have a 2mm blunt edge and are forged from 5160 spring steel, with a blade hardness of 50-53 Hrc and tang hardness in the low 30s Hrc. The pommel is threaded with an allen nut to allow for dismantling of the hilt assembly for inspection or to exchange blades if needed. 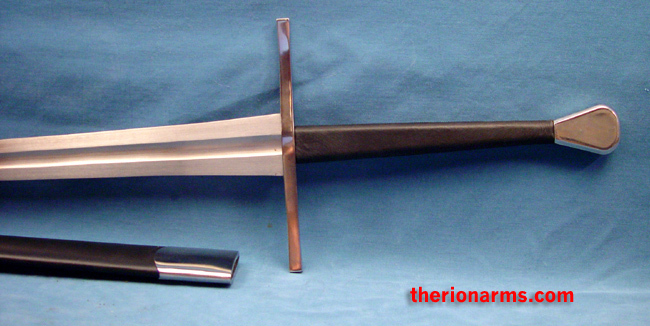 Also available is a matching Tinker longsword - sharp version, for the ultimate in matched training tools. grip and pommel: 11 1/2"